Where has the heart gone? When Sam Raimi delivered his original trio of Spider-Man epics it was impossible not to be won over by the boundless joy and earnest respect beaming brightly from behind every colorful, bubbly frame. No surprise really, given the widely reported biographical detail that the gleefully wacky helmer grew up with a mural of the Wall-Crawler painted over his childhood bed. And that enthusiasm, that adoring youthful hero worship, poured organically into the work, fuelling a wonderful series that produced two defining genre classics and a problematic, polarizing third chapter that at least screamed ambition. There was always a tangible sense that those films were motivated by a deep-rooted passion for the beloved Marvel Comics mascot. 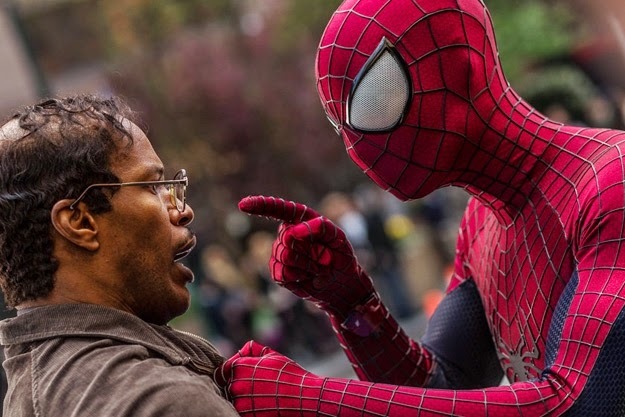 Flash-forward a few years and now we’re in the midst of Marc Webb’s reboot franchise, a series seemingly inspired less by appreciation for the Web-slinger than for the box-office grosses he’s capable of roping in. 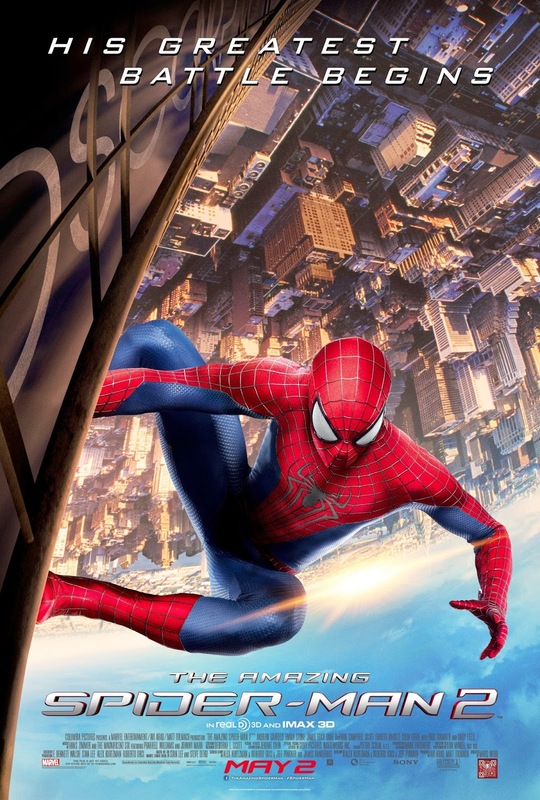 The first entry, 2012’s The Amazing Spider-Man, while not totally charmless, was nonetheless crippled by a terribly messy screenplay filled with dangling plot threads and visible studio meddling. One would have hoped lessons would have been learned from that clunky – albeit profitable – initial swing and steps taken to redeem Sony Pictures’ high-flying golden goose. Sadly, the ol’ Parker bad luck streak continues with The Amazing Spider-Man 2, a confused, tone-deaf and cheerless jumble of motivation-deficient characters, hacky writing and blatant, uninspired sequel bait. The result plays simultaneously like a cartoony tribute to the campy 90s Schumacher Batman efforts, as well as a hyper-convoluted, tedious homage to the cynical and clueless superhero debacles - such as X-Men Origins: Wolverine and Fantastic Four - 20th Century Fox coughed out in the mid-00s. The genre has evolved too far, thanks to The Dark Knight, Spider-Man 2 and the best Marvel Studios productions, for slovenly storytelling and naked cash-grab opportunism like this to skate by. Frankly, this film should be utterly mortified to be booked next door to the thrilling Captain America: The Winter Soldier. Following a busy pair of re-introductory opening action sequences of varying quality – a silly brawl involving Peter Parker’s parents (!) and an Oscorp hitman on a pilotless aircraft, and a decently shot Spidey scuffle with a screaming big rig-driving Russian mobster (Paul Giamatti) - The Amazing Spider-Man 2 quickly scatters in roughly a half dozen different directions. First and foremost, I guess, is the troublesome romantic relationship between Peter Parker (Andrew Garfield) and Gwen Stacy (Emma Stone). Still heavily burdened by the death of Captain Stacy (Denis Leary) at the hands of the Lizard in the previous film, he’s now haunted by his ghost and scared to closely involve the man’s brainy blonde daughter in his crime-fighter life. She, on the other hand, is about fed up with Peter’s indecisiveness and ready to leave New York behind in order to continue her scientific studies at Oxford. Of course, complicating Peter’s life further are his search to uncover the secret behind his parents’ (Campbell Scott and Embeth Davidz) tragic vanishing act and the reappearance of old friend Harry Osborn (Dane DeHaan), a sniveling rich creep with a terminal disease who requires Spider-blood to ward off the grim fate that befell his genius father, Norman (a lamely underutilized Chris Cooper). Meanwhile, off in an isolated Oscorp lab, nerdy scientist and Spidey fanboy Max Dillon (Jamie Foxx) falls into a vat of electric eels and is reborn as Electro, a high voltage villain determined to destroy his former idol and be noticed by the society that ignores him. Scripted by producers Roberto Orci and Alex Kurtzman (along with Fringe’s Jeff Pinkner), the successful duo who previously penned the first two Transformers pictures, both J.J. Abrams Star Trek films and Cowboys and Aliens, Amazing Spider-Man 2 is an often shocking display of amateur hour screenwriting. Ineptly handled exposition hides around every corner - the pay-off to Papa Parker’s mystery file is groan-inducingly creaky, for example - and there is no clear narrative throughline or recognizable thematic arc, only a crude assembly of scenes that too often bash up against one another awkwardly. None of these stories have any flow; they spastically unfold at a clumsy staccato rhythm that does the bloated, yet weirdly rushed, 142 minute runtime no favors. The central romance, one of The Amazing Spider-Man's few strengths, has been downgraded to a handful of bullet point clichés strewn about willy nilly. Instead of a sweeping love story, we get two charismatic performers forced to conjure magic from dusty artifice. Inexplicably, the other characters fare even worse. 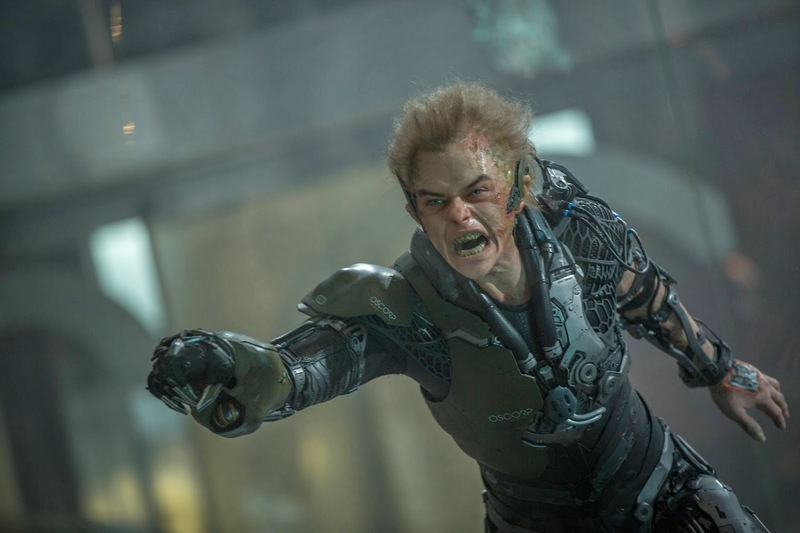 Say what you will about James Franco’s turn as Harry in the Raimi movies, his transformation into the second Green Goblin felt natural and properly developed. DeHaan gets a couple scenes before going all squirrelly, and his descent into full-blown evil is hurried, unconvincing and entirely unearned. It doesn’t help matters that, once he hops on the Goblin Glider, he has little to do beyond making gargling sounds and putting on his Plot Device hat. However, he does have a purpose, which is something that can’t be said for Electro. It’s unclear why this antagonist is even in the film – he serves next to no function – and his early pre-accident scenes, highly reminiscent of Jim Carrey’s Batman Forever Edward Nygma performance, are jarringly goofy and undercooked (and accompanied by a cheesy comic score). As well, similar to the last entry, Sally Field’s Aunt May is almost totally wasted, although she does get her obligatory couple minutes to shine. When Marc Webb was brought onto the series many hoped he’d bring some the energy and vibrancy evident in his winning breakthrough, (500) Days of Summer. Certainly, The Amazing Spider-Man 2 every now and again gets things right - a montage of Spidey’s daily rounds is picture-perfect - and the director shows an improved eye for web-slinging visuals (his action chops remain unremarkable, sadly), but aside from these sporadic bright spots he has crafted a leaden, schizophrenic mess that bungles one of the Arachnid Avenger’s most compelling comic-book tales as badly as Fox botched “The Dark Phoenix Saga” in X-Men: The Last Stand and “The Coming of Galactus” in Fantastic Four: Rise of the Silver Surfer. Two sloppy films in, it’s become clear his primary duty is to bend over backwards to accommodate all of Sony’s dopey demands (future unpromising follow-ups are witlessly established at this movie’s expense). Whereas Raimi had vision, Webb has corporate-issued directions. The cast, astonishing on paper, is a mixed bag. Garfield continues to be a spectacular Spider-Man and an agreeable enough Peter Parker (his cocky hipster take bears little resemblance to the classic comic-book version), while Stone makes for a radiant Gwen. Though she doesn’t have a whole lot to work with – even her big “Save the day!” moment is an obvious recycling of Gwyneth Paltrow’s climactic Iron Man beat – her presence is welcome and, occasionally, fun. None of the antagonist actors seem to have a handle on their vaguely sketched roles. 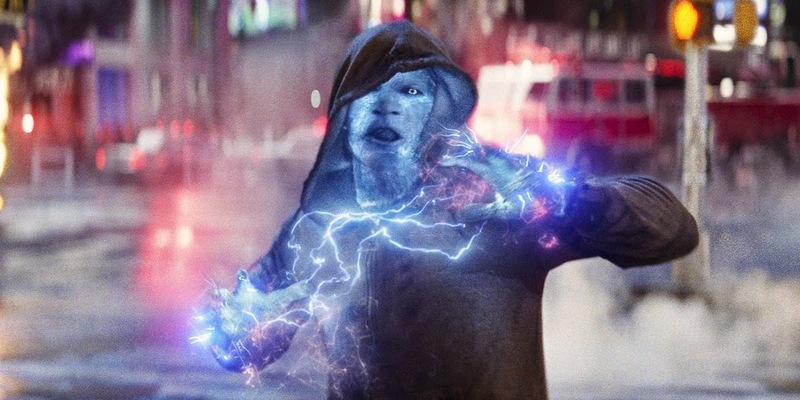 Foxx, who would have been perfect as the flashy Electro of the page, is instead totally sunk by this silly, ill-conceived take on the beloved lightning bolt-tossing thug. The always dependable Giamatti’s much publicized Rhino ultimately amounts to an unexceptional cameo with barely a single line of decipherable dialogue (the foes here often devolve into hollering nonsensical jibberish). As for DeHaan, it’s tough to know who to blame. He’s uniformly bad, sure, and yet was so fantastic giving a similar performance in 2012’s entertaining found footage superhero adventure Chronicle. We may just need to give him the benefit of the doubt on this one. It’s frankly criminal how devoid of imagination and wonder this travesty is. No expense was spared on this project, with many of Hollywood’s highest paid talents churning out lazy, unimaginative work for the sole focus of expanding the brand in order to compete with Marvel’s shared universe. Considering the rich fifty year legacy they had to mine from, this film is an embarrassing insult to Spider-Man and his sincere enduring message. At this point, the prospect of any further sequels and spinoffs from this creative team is infinitely more threatening than anything Green Goblin and his malicious minions are capable of dreaming up. SUBSPACE TRANSMISSIONS Meets Some Aliens!